Before we fully spring into April, we wanted to take a moment and reflect on Women’s History Month, which took place in March. The month recognized and celebrated women’s invaluable commitments to nature and the world. 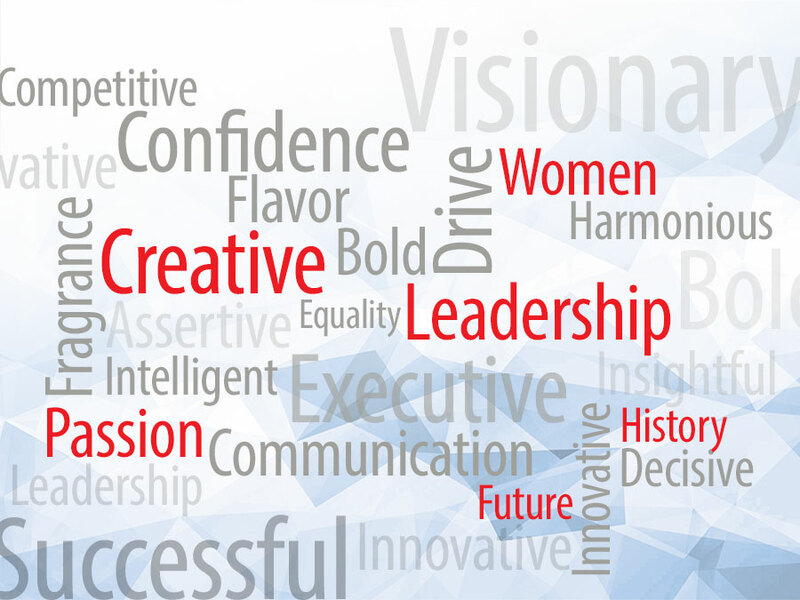 As a tribute of our own, Sigma-Aldrich gathered key women within the Flavors & Fragrances industry and asked them to share their experiences, influences and how they are shaping the future of our business. Here are a few of the women making history in Flavors & Fragrances. Q: What women do you admire most and why? CD: J.K. Rowling (author) – Under difficult financial circumstances, Ms Rowling had the wherewithal and talent to create a story that inspired millions of children to take a stand over evil. Laura Poitras (documentarian) – Took incredible risks to obtain the true story of Edward Snowden in “Citizen Four” as well as other compelling and provocative documentaries. CL: Along with my co-interviewees, I admire women who are intelligent, strong, forthright, and hard-working decision makers. I didn’t have a female mentor coming up in this industry but I do admire other leaders from the flavor industry including Kent Zeller, Brian Grainger, Chuck Manley and Dennis Kucharczyk along with my father for his sage business advice. AMM: In general, I admire women who take risks in business. Whether that’s women who climb the corporate ladder and earn high powered positions or women entrepreneurs that start new businesses. Within the F&F industry, I admire Joy Atkinson, President, Body Home Care, North America at Firmenich, and Indra K. Nooyi, Chairman and Chief Executive Officer, PepsiCo. I also respect Jessamyn W. Rodriguez, Founder & CEO Hot Bread Kitchen, for her commitment and passion to improve the lives of immigrant women in New York City. Female chefs are also inspirational such as Einav Gefen, Corporate Chef Unilever NA/ Manager of Culinary team R&D, Christina Tosi, Chef, Owner Momofuku Milk Bar and Celebrity Chef Alex Guarnaschelli. The thread that connects these women is their passion and drive. CR: Benedicte Bron (Beauty Avenues) for her expertise and integrity, Karine Lebret (L’Oreal Luxe) for her true sense of esthetics and determination, Marie Wright (Wild Inc) for her creativity and positive attitude. Q: What was the greatest influence that led you to a career in the Flavor & Fragrance Industry? CD: I met James T Carlin Jr at Thomas J Lipton in 1986 who introduced me to analytical flavor chemistry and subsequently hired me and provided full classical training at Joseph E Seagram & Sons flavor group. CL: I was assigned to this role when I was still working at The Hershey Company. I didn’t much care for it at the time, but discovered it was one of the most wonderful things that ever happened to me. CR: I have been fascinated with scents from a very young age. My grandfather grew the most beautiful rose bushes in front of our house and I could not stop smelling them when they were in bloom. Growing up in Provence, France near lavender fields and the city of Grasse, led me to join this industry with great passion and enthusiasm. Q: What advantages or disadvantages do women have in the Flavor & Fragrance Industry? Do you think women in the Flavor & Fragrance Industry are treated equally? Why or why not? CD: In my opinion, women have opportunities to succeed in the Flavor Industry if they are assertive and confident. There are no particular advantages to being a woman, nor are women relegated to lower paying jobs such as lab technician, as in the 1980’s and 90’s. When I began my career in 1986, trade association meetings were made up of 90% men. I feel women have made great strides in the last 30 years. CL: Women actually have a better sense of smell than men. So, I think that we have an advantage over men. And it is up to each individual woman to use that acuity to create a wonderful flavor. However, I do not think we are treated equally. If we take a look at top management at most flavor houses and allied industries, it is male dominated. This is beginning to change in some areas. Sixty years ago, the Society of Flavor Chemists was started by the “Founding Fathers”. The current Board of Directors is now primarily women. I see more and more women stepping forward and volunteering in organizations and companies and this will enhance their career. My dear friend, Ed Brown always told me that he loved having women on the board of directors he served on because they always got things done. Men just talked about it. AMM: Even though women in the workforce have come a long way, the F&F industry is still dominated by men in top executive positions. The F&F industry is filled with women employees, particularly on the fragrance side, but only a select few are in upper management. Although it’s never verbalized, I think that the industry as a whole isn’t as supportive as it could be for women with children. CR: This Industry offers possibilities in many different fields such as product development, sales, marketing, science and finance, creating a wide range of opportunities for advancement and personal growth. Women are intuitive and I think this is an important quality they can exercise in our industry. Today many women are highly qualified to occupy top positions and they do more than ever. However the elite positions in our business are still headed by men in majority. Hence, I do not think that women have equal opportunities for leadership roles and salaries yet. Q: What are some of the barriers you face as a woman in the industry? CD: The only barrier I see is that sometimes women lack confidence and courage in a corporate environment which could be viewed as weakness. CL: I can never be a part of the ‘good old boys network’ no matter what strengths I bring to the party. CR: Our business is very competitive and I think it can still be more challenging for women to demand and request what they need. We have been learning and it is becoming easier. Q: What advice would you give to a young woman entering the Flavor & Fragrance Industry? CD: In order for a woman to be taken seriously and succeed in the Flavor Industry, she should make it her primary objective to be well-trained under a non-biased mentor, and seek the knowledge to enhance her creativity, confidence and assertiveness. CL: Don’t be afraid. Don’t be afraid to learn or speak your mind. Don’t be afraid to fail, all flavor creation involves failure of some sort. Only through failures can we find success. Develop a thick skin. Comments about your newly created flavor are not necessarily gentle so remember it is not about you personally but about what is being tasted. Everyone tastes differently and our abilities to taste are anchored to life’s experiences. Listen and learn from the comments. Stretch your creative skills it will make you a stronger Flavorist. My mentor always said to “make bold changes in range and direction” to your flavor. Be brave. Volunteer for a position in an organization that is dear to your heart. Follow your passions. Make a difference. Don’t complain about how things are, be the change. AMM: For young women entering the F&F industry, I would recommend that they be patient, work hard, and find a mentor. The younger generation is often labeled as “entitled” and the technology that they have been raised on, which encourages instant results and gratification, doesn’t work well in the workforce. Young women need to learn the F&F industry, work hard, and earn their growth. Don’t expect to start in a junior position and in a few months run a department or become the next president. Find a person who you admire and respect and develop a relationship. See what they do, how they do it, and seek advice when needed. Don’t underestimate the value of a mentor. CR: Love what you do! Working hard has always paid off for me and allowed me to be grounded. I used to wish to have qualities I did not have but I have come to realize what my authentic strengths and working hard has given me what I always wanted in my career. Know your own strengths, embrace them and do not compare yourself to others. Q: What do you think is the most important attribute a woman could have to excel in the Flavor & Fragrance Industry? CD: The courage to present ideas which may not be conventional. The courage to be a trailblazer. The courage to be a risk-taker and not be afraid to fail. CL: I think it’s important to like people. After all, so much revolves around the people you work with and those you work for whether they are your co-workers, your boss or your customer. If you like people then your interactions will be warm and honest; your efforts will be genuine and success will follow. AMM: To excel in the F&F industry, I think that most important attribute a woman could have is flexibility with the ability to multitask. Like many other businesses, priorities change daily and you need to be able to switch from one project or task to another. Regardless of what position you hold, you are constantly juggling. The better you are at multitasking, the easier it is to complete your work and accomplish your goals. CR: For me the most important attribute is to be open to your senses. We are selling emotions and in order to translate it to our products we first need to experience them ourselves. Therefore exploration of scents, tastes, ingredients, etc. must be a passion. Q: What drove you to be a strong and confident woman leader in the Flavor & Fragrance Industry? CD: I attribute my confidence and strength to 30 years of experience and participation in trade association events, which allowed me to get to know my peers as real people, their motivations and interests. CL: I love this industry. I love what I do, I love learning and I love teaching others about flavors. I’ve met and developed friendships with so many people over the years. I don’t think I ever set out to ‘be’ anything, this industry created me. Similar to those who climb mountains, I’ve only just done – because it’s there. CR: Focusing on my strengths, developing an authentic trustworthy network and continuously investing in my personal development. Q: What in your career has brought or given you the greatest satisfaction or fulfillment? Looking back, what would you have done differently? What would you do again? CD: I get the most satisfaction from helping to bring my colleagues together by holding events and sharing ideas and innovations. I do miss being a scientist/analytical chemist, and sometimes long for the days when I was doing detective work. However my move into sales has put me out of my comfort zone and taught me more about myself than I otherwise wouldn’t have known. CL: The easy answer is to say that I’ve effected a change in the consumer product landscape with the flavors I’ve created. But to be totally frank, I also enjoy being in the thick of things. I’ve lead two great organizations, the Chemical Sources Association and the Society of Flavor Chemists and this has been difficult, stressful, and wonderful all at the same time. Looking back, what would I do differently? I can’t think of much. What would I do again? All of it. AMM: Launching my business Trendincite LLC in 2006 has given me the greatest satisfaction and fulfillment in my career thus far. I’m not one to play the “would have,” “should have,” or “could have” game and looking back, I would not have done anything differently. In fact, I think that my experiences working for three leading, but very different fragrance and flavor suppliers, IFF, Noville (now owned by Firmenich) and Givaudan, enabled me to do what I’m doing and excel. 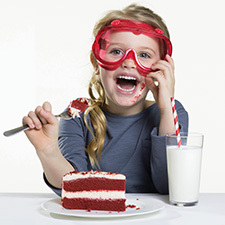 CR: Leading and participating in ingredients sustainable initiatives. Working with a team I have fully trusted and as a result allowed me to make mistakes in order to experience successes. I would do it all over again as failures and unpleasant experiences made me who I have become today; it gave me clarity, confidence and a path for growth. Q: What legacy would you like to see women leave on the Flavor & Fragrance Industry? CL: Great flavors in consumer products. CR: Beautiful creations while providing a safe and enjoyable working environment. I would like to see women lead wisely. For me a woman of authority cares and nurtures, these are essential qualities which fit with the products that many consumers want to purchase today. For example, sustainable and responsible foods, cosmetics and fragrances. Q: Is there one woman-focused initiative in the Flavor & Fragrance Industry that you feel is making a difference? Outside of the Flavor & Fragrance Industry? AMM: The WFFC (Women in Flavor & Fragrance Commerce) as an organization is making a difference to support women in our industry. Founded in 1982, the organization’s mission is to educate, engage, and empower women in the F&F industry by offering unique, industry specific events. Although WFFC’s membership has grown and men are welcome to participate in the events, the core value remains. Outside the industry, I find Angela Jia Kim’s, Savor the Success, a women focused organization that supports women entrepreneurs, to be making a difference. CR: The WFFC is an organization that focuses on empowerment, educational programs and networking opportunities, answering our needs within the Flavor and Fragrance industry. Outside the industry, resources to support women are unlimited. I think it is important to redefine feminism, and for me a great example of that is for women to be powerful with men and not over. We extend our sincere thanks to these women for sharing their thoughts and experiences. We hope you find inspiration to make history of your own. Happy Women’s History Month! No matter your gender, share your experience with us below on how you came to be involved with the Flavors and Fragrances industry, your influences and/or what you are doing to keep innovation alive within this unique business. We may even feature you and your story in an upcoming issue of our newsletter!